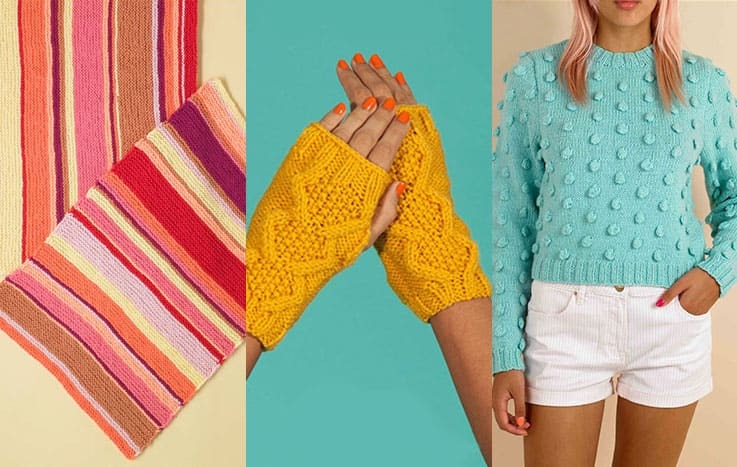 We’re delighted to announce a joyous springtime KAL! 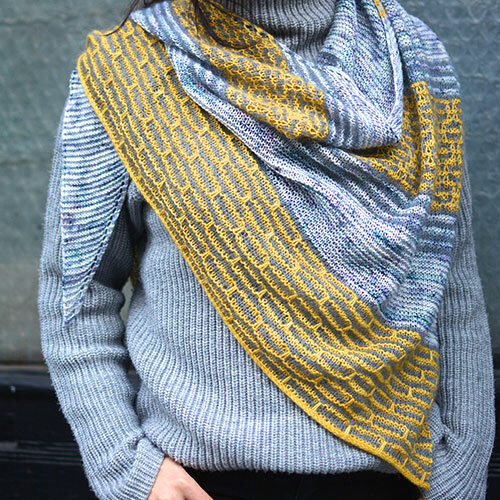 Join us to knit a stunning shawl combining basic skills with mosaic sections and an icord bind off from celebrated designer Kirsten Kapur. Explore three wonderful yarns – exotic, beautiful Koigu KPPPM, hand-painted in small batches; luxurious Fibre Company Canopy, a heady blend of alpaca, bamboo and merino, and light-as-air Willow & Lark Plume, a deliciously soft mohair yarn. The combination of these three creates a shawl that you can swirl around your shoulders in all weathers, available in one easy yarn pack. 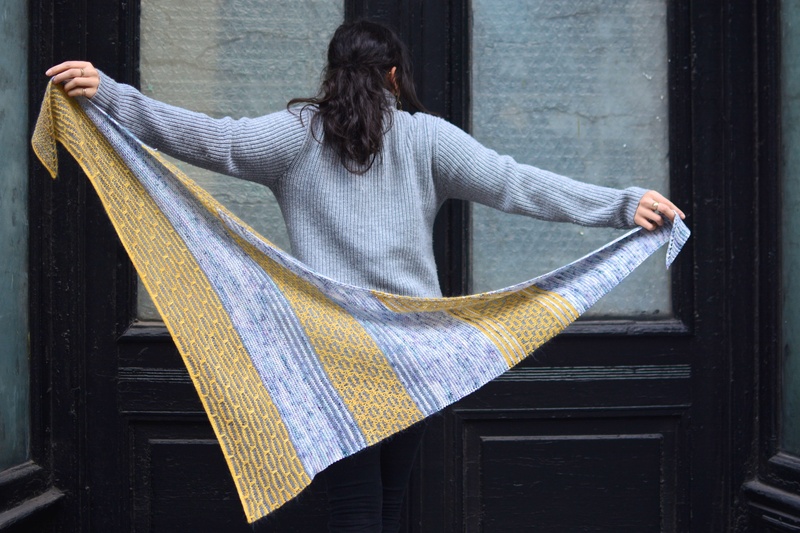 "Manhattan Mist is the kind of shawl I love to design, knit, and wear. The asymmetrical triangle shape allows for a lot of design possibilities, and the combination of stripes and mosaic stitches are just enough to keep things interesting without a lot of fuss. When creating the design I was inspired by the angles and lines of my city where streets intersect with avenues and sky scraping buildings have rectangular windows of all different sizes. The colors of the design reflect the colors of NYC, from the blues and grays of the buildings, to the bright gold of a dazzling sunny day, and the halo created by the mohair in the Willow & Lark Plume inspired the name -- it reminds me of fog rolling in over the Hudson on a misty day." "My goal when designing Manhattan Mist was to add in several different techniques while maintaining a cohesive look to the shawl. I love mosaic stitches for the rich patterning they achieve, yet they are fairly simple to work. A crisp icord bind-off gives the piece a clean finish, and is a wonderful technique to have in your knitter's bag of tricks." 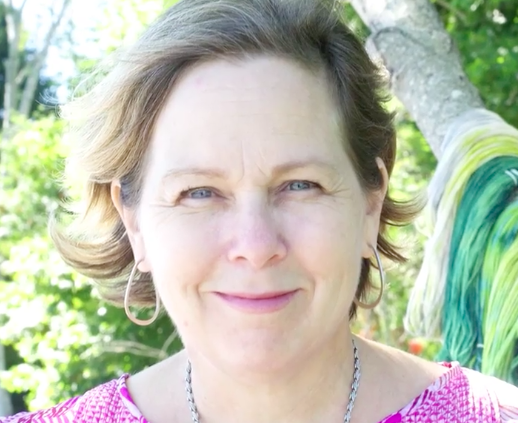 There will be videos from Kirsten to guide you through the pattern, and support available on our Facebook group. (Just click on the banner below!) 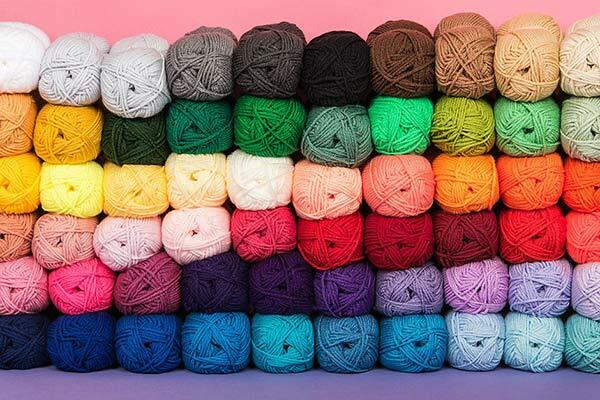 At the end of the KAL we’ll be hosting a competition on Instagram to win 10 balls of luxurious Willow & Lark yarn! We'd love to see your progress and finished shawls! 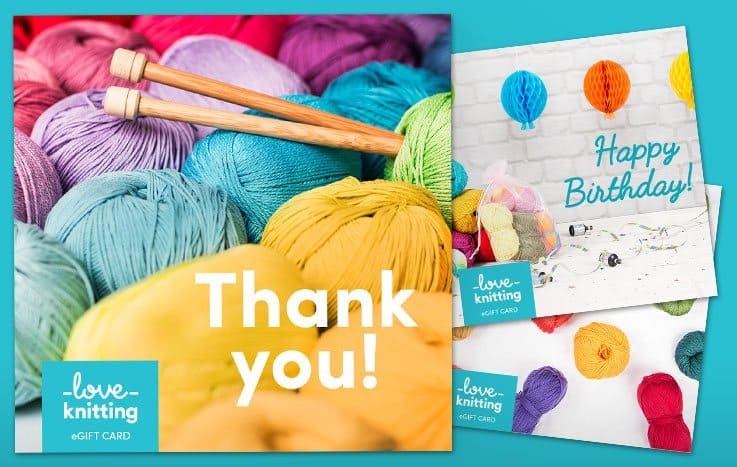 Tag us on Instagram and Facebook with #ManhattanMist and #SuperKnitters. We're delighted to introduce part 1 of our KAL where Kirsten will guide you through shaping your shawl. Welcome to part 2 of the Manhattan Mist Shawl KAL! 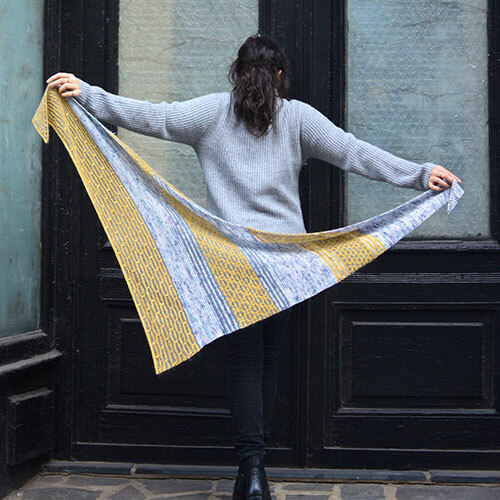 This week, Kirsten shows you how to work stripes, and how to knit your mosaic panels. 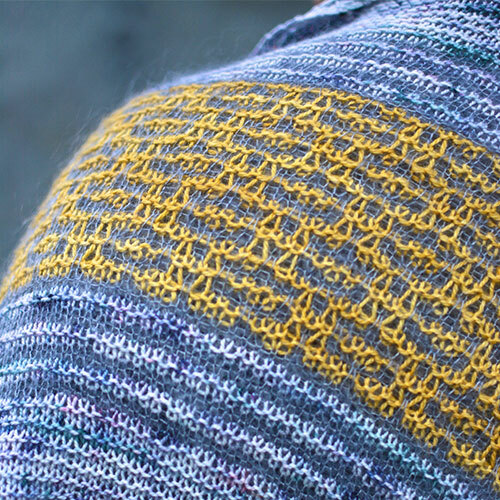 The third instalment of the KAL has now been added to your pattern. We hope you enjoy. Part 4 has now been added to the pattern! It's here! 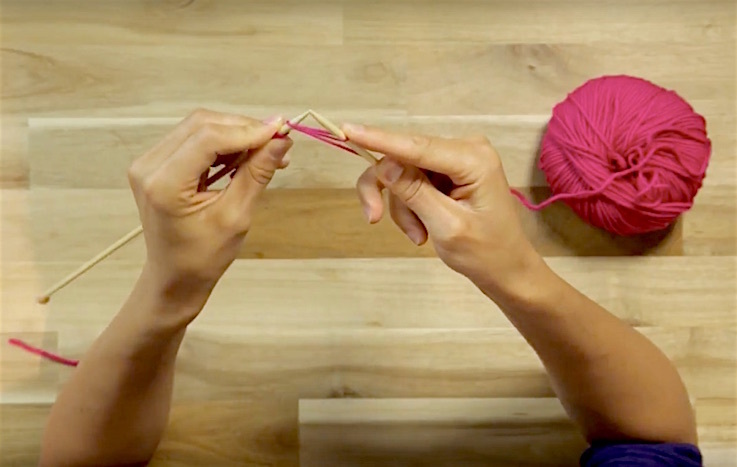 In this final instalment of the KAL Kirsten will guide you through the iChord Bind Off and Blocking in these step by step videos. And don't forget to share your finished Manhattan Mist shawl pictures on Instagram with the hashtags #ManhattanMist and #SuperKnitters with a chance of winning 10 balls of beautiful Willow & Lark yarn!